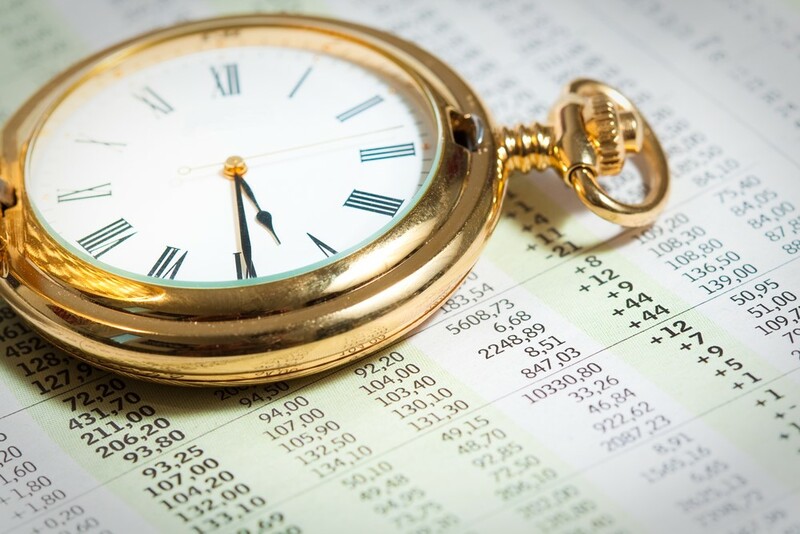 Can You Accurately and Consistently Time the Market? Our debate? Is it really possible to accurately predict the future in financial markets? Mark took the podium first, arguing the affirmative. He pointed to his own 40-year track record, noting that he switched out of hard assets in the late 1970s and into stocks and bonds after the election of Ronald Reagan in 1980. He recommended staying long stocks until the fall of 1987, when he correctly moved his subscribers out of equities just before the market crashed. He also recommended stocks for most of the long-running bull market of the 1990s and has been bullish since the Great Recession as well. He noted that he made missteps along the way but further sought to undermine my position by noting that I recommend stocks myself - and with some success. When it came time to rebut Mark, I conceded a few points. Unlike the permabears and other longtime doom-and-gloomers - you know who they are - he has been on the right side of the market for most of the last four decades. It’s also true that I recommend individual stocks in my various newsletters and trading services. Doesn’t that mean I’m predicting the market? The first is that all human beings have economic needs: food, clothing, shelter, healthcare, etc. It’s not government that provides us with these essentials. It’s entrepreneurs and other business people who have found a way to offer the goods and services we want and need at a price greater than what it costs to provide them. That’s capitalism, the private ownership of the means of production. But through the stock market, we can own a fractional interest in virtually any of the world’s thriving public companies - and with very little money. There is no greater way to create, grow and preserve a fortune than to own a business. Better still, own a whole portfolio of diverse businesses. Acknowledging this requires no predictive power. It requires only that you understand economic history. U.S. equities have returned an average of 10% a year for more than 200 years. Small company stocks have averaged 12% a year. And the best-performing stocks have done far better still. It’s a whole lot easier to estimate a company’s future earnings than to guess whether the market’s next move will be a zig or a zag. I don’t recommend stocks because I think the market’s next move will be up. I recommend stocks because I know that equity ownership is the best wealth creator available to the average man or woman - and that certain individual stocks are likely to outperform. History demonstrates that over the long term (investment horizons measured not in months or years but in decades), the market experiences higher highs and higher lows. To expect that to continue in the future is not a particularly bold prediction. The question is really whether you should listen to someone’s short-term predictions about the market - even someone as knowledgeable as Mark - or rely on a system of asset allocation and security selection - like the one The Oxford Club uses - and concede that near-term fluctuations are impossible to forecast accurately and consistently. A poll at the end of our debate showed that the vast majority of the attendees agreed with me. However, this was an Oxford Club event. Knowing Mark, I think this debate will continue in the future... and next time in front of his crowd. Warren Buffett established a position in Synchrony Financial (NYSE: SYF) by taking a 2% stake in the company in early 2017. Then he added even more shares toward the end of the year. Buffett knows a bargain when he sees one. Synchrony surprised Wall Street with its last earnings announcement when it released better-than-expected earnings, raised its dividend and increased its share buyback. This came on top of some large insider buying when the shares were trading in the mid-$20s. Synchrony was spun off from General Electric (NYSE: GE) and has been in business for 85 years. It's telling that Buffett picked up Synchrony but sold General Electric. He is betting that this purveyor of consumer finance through private-branded credit is going to benefit from growth in consumer spending and borrowing in this financial cycle. At current valuations, Synchrony is trading at around 12 times forward earnings. That is about a 30% discount to its peers and more than a 40% discount to the market. However, things are not all rosy for Synchrony. Last quarter, the company recorded higher-than-expected reserves for charge-offs. But in recent monthly reports, the trend seems to be shifting the other way, which could be very positive for the shares in 2018. Charge-offs are consumers who fail to pay their debts. Buffett and the market are betting that this is not a trend but an aberration. That is the risk in this play. With a growing economy and increased consumer spending trends, the risk is not as high as it would be if we were heading into, or in the midst of, a recession. Synchrony also has a very strong consumer banking business, where assets are increasing. The company reported better-than-expected margins, as interest rates have moved higher over the past few months, allowing the bank to increase its net interest margin. If Buffett bought his shares in the last quarter (as filings indicate), he paid around $29.82 per share for his $520 million investment - and even more for his latest batch of shares. We are going to position ourselves to pay around $26.50 for the same shares. Although the puts I'm recommending have January 2019 expirations, I expect to close out our positions earlier, barring a protracted market crash. Sell to open the Synchrony Financial January 2019 $28 puts (SYF January 2019 $28P), currently trading at $1.50 on the bid by $1.65 on the offer. IMPORTANT: Do not place any of these trades before 9:50 a.m. The options markets do not begin trading with any level of liquidity until well after the regular market opens. DO NOT PLACE TRADES AT THE OPEN! Try to get $1.50 or more for this trade, using $1.35 as your lower limit, meaning that you should not sell puts for less than $1.35. Based on $1, a 10-contract trade at the current bid would bring in $1,500. To achieve a payout of $15,000, you would need to sell 10 contracts. Your margin requirement based on 15% of the strike price would be $420 for each contract, or $4,200 for 10 contracts. Your potential return on margin is projected to be 35.7% (150/420) in just over a year if we are not put. The discount to market based on the current price of $33.40, and our adjusted cost is right at 20.6%. The probability of getting put is just under 26%. This means that based on the calculations, the chances of this trade working in our favor are greater than 74%. Be sure to size your position according to your comfort level. Each contract you sell obligates you to buy Synchrony Financial at $28 per share. That means you need to set aside or cover $2,800 per contract sold in the event you are put the shares. The discount to market is based on $33.40, the current price, and our cost is right at 20.6%.